– John Berger, Ways of seeing. 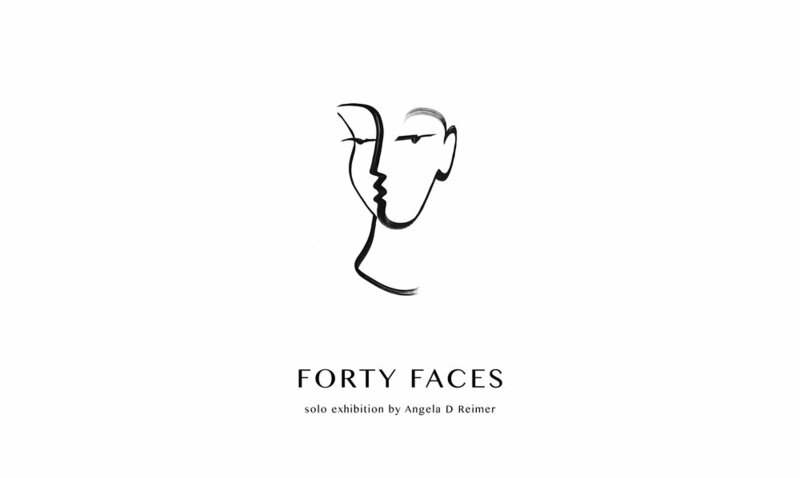 Forty Faces, a visual and physical manifestation of the personal journey and exploration of identifying as a woman in the modern world. When questioning the anatomy of feminine identity, it can be difficult to extract personal views from societal expectations. Thus blurring the borders in which ideals are innate and imposed. By challenging norms and seeking personal truth, an element of our former self must be denounced. As we mourn this former self who once beamed at any inkling of approval, we can find ourselves submerged in disorienting isolation and disconnection. Disconnection from not only the person we once were, but the world we once knew. Yet through this isolation, something can be gained. My own experiences have revealed a connection to a powerful collective. A connection which, without me knowing, had been the undercurrent propelling my personal and artistic exploration. There is a moment when we tap into an unspoken network of women who, without saying a word, understand your story, feel your frustration, and experience your pain. A state of consciousness where one becomes many as we share the same ground. Our experiences are unique and yet our response is a harmonious chorus. This series is a tribute to every woman, any woman. All valuable—not despite their experiences but because of them. Unified by common ground, we are redefining feminine identity and celebrating our differences.